Our rivers are affected by all the activities which take place on the land within their catchments. So, the greatest improvements in the health of our rivers come when everyone who uses, manages and cares about them cooperates and collaborates. This includes land managers and farmers, those responsible for environmental regulation, wildlife conservation groups, scientific researchers, local businesses and local residents. By working together we avoid duplication and get more done! Catchment Partnerships, like our own, are comprised of a diverse range of interested groups, or stakeholders, from across the catchment. Together, we are taking on the huge but exciting task of planning, funding and delivering healthy rivers and an improved watery environment across the whole catchment. 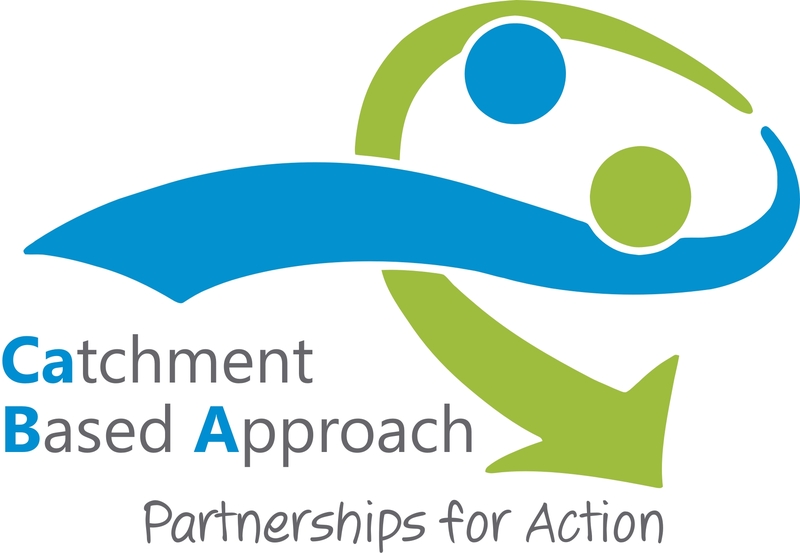 If you are part of a Catchment Partnership, the CaBA website showcases the work being undertaken by Catchment Partnerships across England and Wales. It is a platform to share ideas and discuss best practice in stakeholder-led catchment management, including planning, delivery and evaluation. The Tamar Catchment Partnership was one of several catchments chosen to pilot the Catchment-Based Approach. We got started in 2011, hosted by the Westcountry Rivers Trust, based in Stoke Climsland in Cornwall. The Tamar Catchment Partnership has taken a ‘stakeholder-led Ecosystem Services’ approach. This means we’ve been led by the ideas and views of people who affect and are affected by the rivers in the Tamar Catchment, the ‘stakeholders’. Through workshops and discussions, we identify areas which play, or could play, a really important role in providing all the things we gain from the environment – ‘ecosystem services’. As a team of partners, led by the steering group, we then decide on targets, projects and initiatives which will protect and improve the health of the rivers and make sure we continue to benefit from all the amazing things the environment provides. We’re always looking to hear from more of our stakeholders, so if you live or work in the Tamar Catchment and would like to get involved with the Partnership, get in touch! A catchment is all the land which drains into a river and its tributaries. In a Catchment Partnership, a stakeholder is any individual, group or organisation who has an interest in, or an impact on, the health of the river and its catchment. 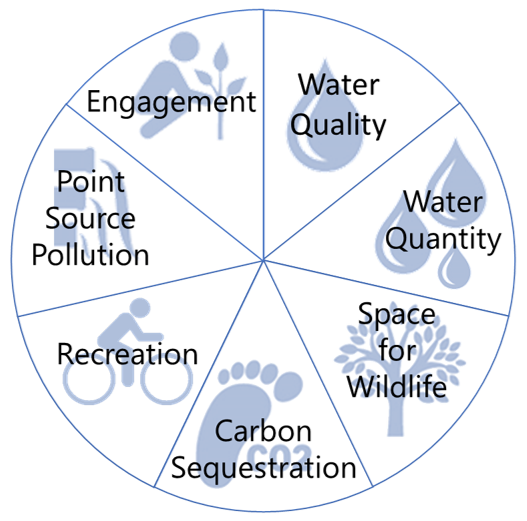 Ecosystem services are all of the many benefits we gain from the environment, including clean water, clean air, food, energy and places to have fun! Check out the video to the right to learn more about ecosystem services! Our Partnership is passionate about making real, lasting improvements to the health of our rivers and helping all of us to re-connect to our local rivers, streams and natural environments. Read our open letter to DEFRA, from 2013, in which we celebrate our vision for the catchment, created with the very people who own, manage, live near and rely upon it. This fantastic, diverse array of organisations is just a selection of those who have been involved with the partnership since it formed in 2011. The partnership has also involved farmers, ecologists, angling groups, researchers, local food producers and many more. Terms of Reference set out the rules and responsibilities of the Catchment Partnership, and how it is organized and governed. Click here to read the Terms of Reference for the Tamar Partnership. The Catchment Partnership is organized around 7 working groups, which were established during an open meeting in March 2012. Each group met three times in 2012 to set out their key objectives. Working Group 2: Water Quantity The regulation of water movement in the landscape to ensure that a sufficiency of water (for drinking water supply, pollutant dilution and ecological health) is maintained at times of low rainfall, and to reduce the impacts of excess water movement during periods of high or intense rainfall (reducing the impacts of flooding). Working Group 3: Space for Wildlife The protection and enhancement of functional networks of natural habitat that support healthy and stable wildlife populations and biodiversity at a landscape scale. Working Group 4: Carbon Sequestration The sequestration from and release to the atmosphere of carbon dioxide and other greenhouse gases. Working Group 5: Recreation, Leisure and Culture The provision of accessible spaces for people to undertake recreation, leisure and cultural activities and, in doing so, increasing their health and well-being. Working Group 7: Engagement and Local Food The complex issue of how to involve and engage the wider public and how to motivate them to value and protect the natural ecosystems in the catchment upon which they depend for so many essential services. Working group 7 also explored the potential for a local Tamar food market to be developed and become an exemplar for sustainable land management and food production. Read the Engagement and Local Food Plan here. Read The Tamar Plan here in full or as a summary. The Tamar Catchment Partnership takes an evidence-led approach to planning our activities. By using data and evidence, we can identify priorities for action, make strong cases for funding bids, and be more certain about the expected outcomes of activities. Data and evidence comes in a variety of forms and can be used many different ways to support our work (see right). Through the working-group planning process, the Partnership has built up a strong local evidence base. We used digital mapping to identify opportunity areas for improving each ecosystem service. Then, putting this evidence together, we identified ‘multifunctional’ areas of land in the catchment which play, or have the potential to play, a role in providing several ecosystem services at once. This allows us to understand land use opportunities and challenges, and to strategically target our activities. Read the Environmental Services Evidence Review for the Tamar Catchment. As well as local evidence, many datasets are available across the country which can be explored to better understand the characteristics, current condition and pressures affecting a catchment. Explore this evidence yourself using our story map! Visit our story map to explore the completed, current and future projects being undertaken by the Catchment Partnership. Or click here to download the Action Plan as a PDF (coming soon).